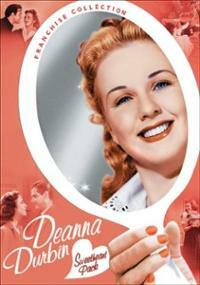 The first time saw Deanna Durbin was on the front of a DVD case. Though I had no idea who Durbin was, I bought the DVDs. The first film I watched was “Three Smart Girls” (1936) and immediately fell in love with Durbin’s smile, singing voice and charm. Through the years, I’ve tried to watch as many musicals as possible- now up to 470 movie musicals-and Durbin’s films have been some of my favorite. Debuting in films at age 15, Durbin’s popularity pulled Universal Studios out of bankruptcy, won her a Juvenile Oscar in 1938 and made her one of the top paid women in the United States. Her popularity was world wide with fans such as Winston Churchill and Anne Frank. 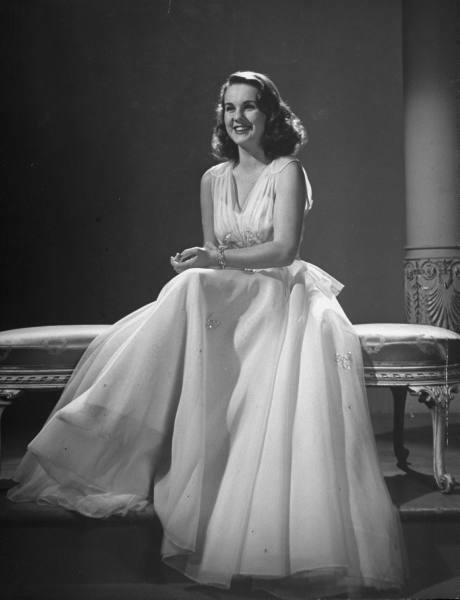 She influenced fashion in “Nice Girl” (1941) with a white organdy, ruffled dress, according to USA Today. 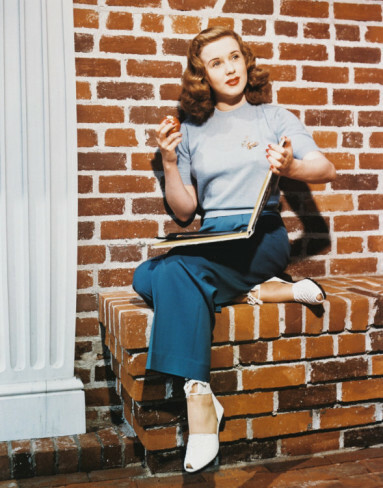 She was considered for the role of Dorthy in “Wizard of Oz” (1939) (as was Shirley Temple) and to be the voice of Snow White in the 1937 Walt Disney cartoon. However her voice was considered too mature at 14. Similar to fellow child star Shirley Temple, Durbin had dolls and other merchandise created in her likeness. 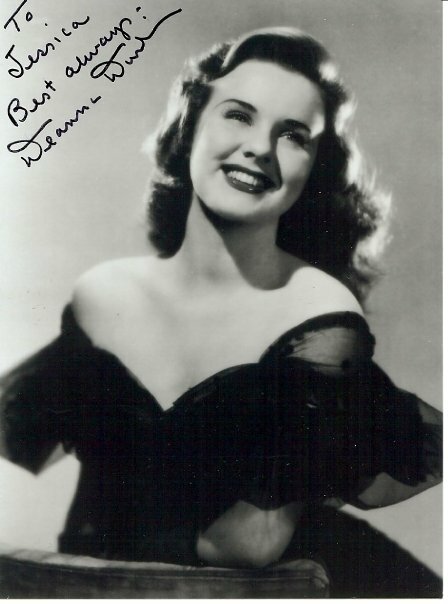 Today, it’s difficult to find a Deanna Durbin doll under $200. After her first on-screen kiss with Robert Stack in “First Love” (1939) she transitioned into teen and adult roles with leading men such as Joseph Cotton, Gene Kelly and Tom Drake. But after 21 films and at the height of her popularity, Durbin left films and lived the remainder of her life in France. “I hated being in a fishbowl,” she was quoted as saying in her New York Times obituary. Long after she had left films, her influence and sunny disposition continued to spread, this time to fans like myself. Durbin quickly became one of my favorite movie stars and singers as I worked my way through her films. In 2005, she was kind enough to respond to a fan letter with an autograph and even paying for postage from France. 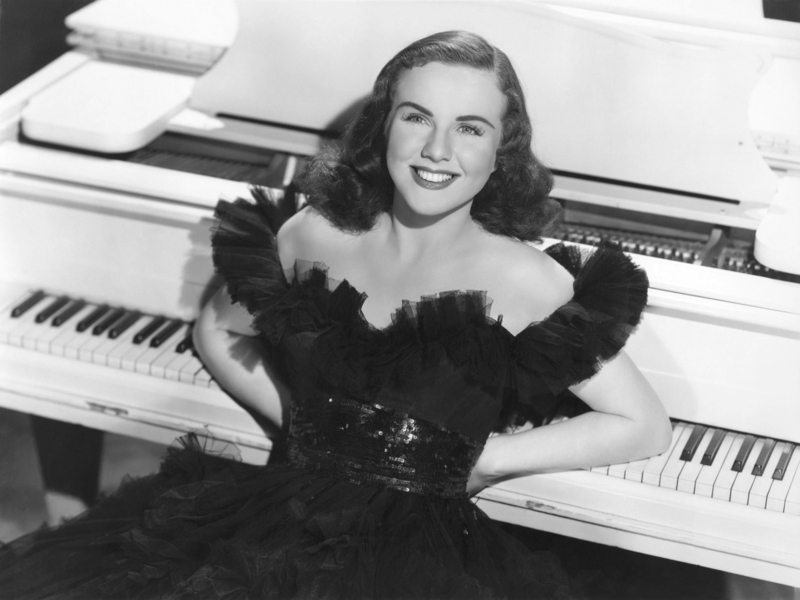 My favorite Deanna Durbin films include “The Amazing Mrs. Holliday” (1943) where she plays a missionary caring for World War II orphans, and “It Started With Eve” (1941). 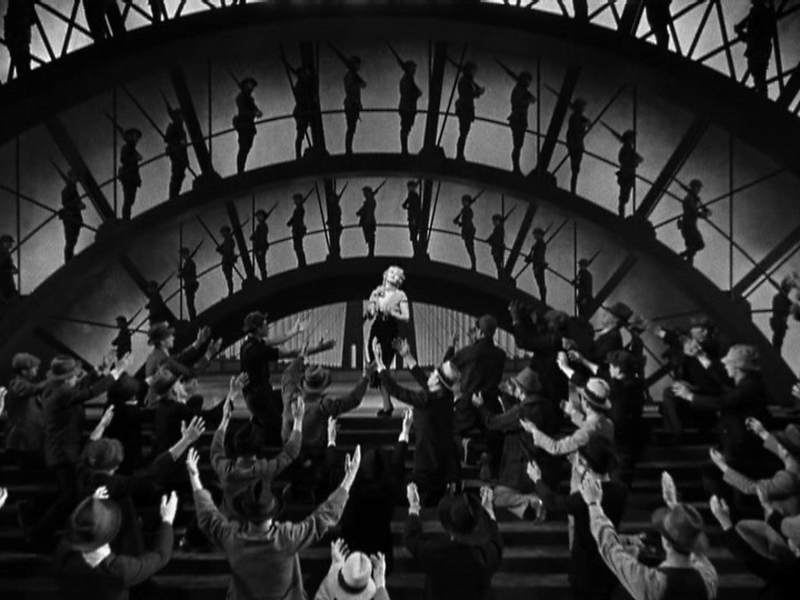 Though Durbin has great chemistry with “Eve” leading man Robert Cummings, she has even more impressive chemistry with Charles Laughton. The rumba scene with Laughton is one of my favorite comedic scenes of the English actor. It was announced Tuesday that Durbin passed away at the age of 91. Though she is gone, she will forever be singing in our hearts.